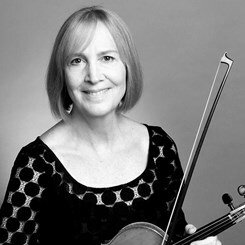 Greer has a Bachelor of Music in Violin Performance from The University of Florida, School of Fine Arts. Her focus is on providing excellent training and bringing out musicality in her students. She doesn't use any one method and instead chooses repertoire and various technical studies on an individual basis, depending on the level of advancement and also what the student likes and responds to best. She encourages creativity and improvisation and is also able to offer quality instruction specific to orchestral playing for students who have entered orchestral programs at school or in youth orchestras. Special emphasis is given to preparing for auditions and solo performances. Greer has performed solo or with accompanists in weddings and other events, orchestras including Space Coast Symphony Orchestra and the Macon Symphony Orchestra, and ensembles for musicals and choral productions. Genres include classical, popular, broadway and film music. Her principal teachers are Edward Troupin, professor Emeritus, University of Florida, and Lev Gurevich. She is a member of GMEA, NAfME and Atlanta Federation of Musicians. Request Lessons with Greer today!